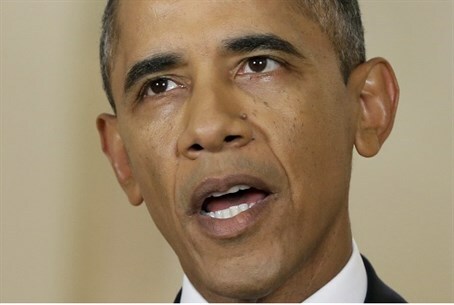 Obama likely to extend Iran nuclear talks and flex on demands says senior Israeli source, even as Egypt wages diplomatic war on Israel. According to a senior diplomatic source in Jerusalem, the chances of a deal being reached on Iran's nuclear program between it and world powers before the November 24 deadline are slim - but US President Barack Obama is liable to flex on several points, including the deadline. "When there's a will on the part of both leaders everything is possible, but Israel needs to stand guard so that a bad deal won't be made," the source told Walla!, warning against a deal that will leave the Islamic regime with thousands of centrifuges and breakout capability to quickly create a nuclear bomb. The source further warned that the current American-led coalition against Islamic State (ISIS) terrorists in Iraq and Syria may impact the deal with Iran, as Obama's administration has already backtracked about possible military cooperation with Iran. There is a real danger that the US will hold secret talks with Iran and make agreements against Israeli interests, warns the source. "Iranian boastfulness has taken over their minds and they aren't hurrying to reach an agreement that will contradict their red lines and add to their sanctions. That's their real concern," the source said of Iran. On the other side, he added "the Americans want to reach a deal, and the true danger is that they will flex their position for the Iranians." "A nuclear Iran will undermine all of the balance in the region," warned the source against a bad deal. "The Arabs won't agree - not Saudi Arabia and not Egypt. The Egyptians already said officially that they will arms themselves with nuclear weapons (in the case of a deal). These are the dangers that senior officials are repressing." Egypt has also been increasingly hostile towards Israel according to the source, who says the Nile state backed by other Arab countries is pushing an initiative to have Israel recognized as a nuclear capable state - a process that is part of the diplomatic war on Israel. "It doesn't even interest anyone in Israel and that is serious," warned the source. "Their goal is to weaken Israel." Cairo has been holding host to the truce talks between Israel and the Hamas terror organization, and just on Sunday hosted an international donor conference that saw world states pledge $5.4 billion for Gaza.